TV packages for the whole family. A great basic value package including over 60 channels with sports, news, major networks and 25 HD channels. 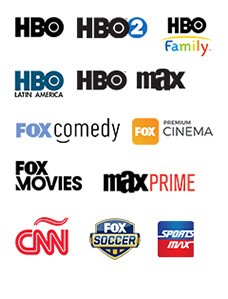 Enjoy over 120 channels including sports, movie channels and 61 HD channels. Our best value TV package. 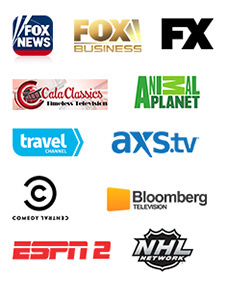 More than 150 channels including added sports, news and travel channels, and 88 HD channels. Our VIP Package for your pure entertainment offers more than 170 channels including all sports, HBO, Fox and 109 HD channels. C3 Pure Fibre opens up the world of pure entertainment with our four TV packages. From children's programming to action-packed films, C3 Pure Fibre TV has something for everyone. 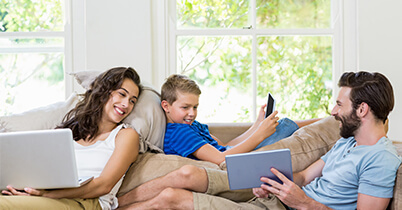 Speak to one of our customer service representatives about our TV add-on packages for even more viewing options. Bundle up your services for the best savings. 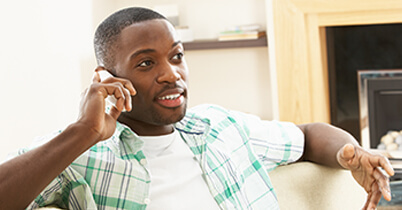 Combine any internet, TV and home phone service together to make a customized package just for you. Pure bundles = Pure fun. C3 Pure Fibre is the only 100% locally owned and operated pure fibre-optic network in the Cayman Islands. Watch the clearest HDTV channels with your fibre TV. Ask about our express 48 hour install. What does fibre mean?How do I sign up for TV service?I already have C3 Fibre Internet, can I add TV?Is there C3 Pure Fibre in my area?When will you be providing fibre in West Bay or East of Prospect?How long will it take to get my TV service installed?How many TV connections will I get with my service?Can I add channels to any package?Do you have DVRs available?Do you provide the actual TV? Fibre optic cables are made of incredibly thin strands of glass, known as optical fibres. Information (internet, TV, phone calls, etc) can travel through these fibres at the speed of light in one continuous line, without any interruption, providing super fast, reliable and secure internet services. Yes, just contact us today and we will get fibre internet set up for you. Call 333-3333, email info@www.c3.ky or visit one of our stores. 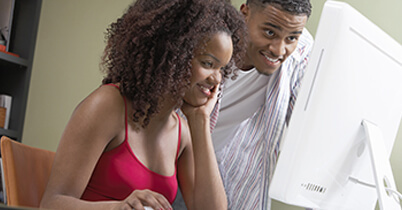 A TV package comes with one free set-top box to go with your chosen TV. If you would like cable on any another TV, you will need to get an additional set-top box for $9.9 per month, per additional TV. 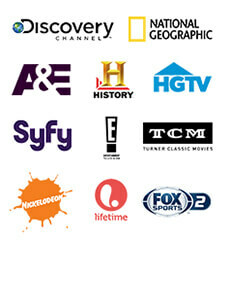 Yes, we have additional TV stations curated for your viewing pleasure that you can add-on to any TV package. 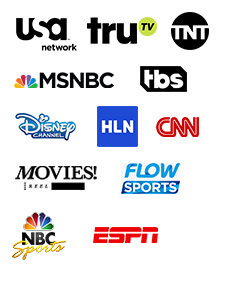 Our add-on packages include Indian/Asian, Adults Only, Filipino, Family, Sports, Spanish, Educational, and more. Simply call us at 333-3333, send us an email at info@c3.ky, or pop into our store to add on your favourite package. Yes. We have DVRs (digital video recorder) available so that you never miss a show. Enjoy hundreds of hours of recorded television programming for a small charge. Call 333-3333, email info@www.c3.ky or visit one of our stores for more information. No, we only provide the cable TV service, you must already have your physical TV. Check if fibre is available in my area.